There are processes for changing a range of details relating to an incorporated association. Some changes require the passing of a special resolution. Associations must comply with the Associations Incorporation Act 1964 (external link) (the Act). Passing a special resolution requires at least three-quarters of members be present at the general meeting where the special resolution is given. You cannot use proxy voting when voting on a special resolution. An incorporated association must appoint a public officer. The person who applies for incorporation becomes the first public officer. However, the committee can appoint another person for this role (see Section 14 of the Act). The public officer role can be misunderstood. The public officer has a number of statutory roles to fulfil. The principal role is being the association's legal official. Legal documents can be served on this person, for example a summons to appear in Court (see Section 28 of the Act which deals with the matter of service). Another important role is notifying CBOS of rule amendments. This is done by lodging a Notice of Special Resolution form (external link). The rules of an association may also give the public officer further duties to fulfil. You can only change an association's name by special resolution (see Section 23 of the Act). The public officer must lodge the special resolution notice with the Commissioner within one month. Complete the Notice of Special Resolution for a Name Change form (external link). CBOS issues associations with a Certificate of Registration. The certificate includes the name, registration number and date. If you cannot find the certificate, you can apply for a copy. Complete the Certificate Request form (external link). There is a fee for issuing a certificate.  any body corporate registered, incorporated or established under a law applying in Tasmania or outside Tasmania and prescribed in the Act. You can apply for approval to transfer incorporation after association members hold a general meeting. The association needs to pass a special resolution to become a prescribed body corporate. Complete the Special Resolution for Voluntary Transfer of an Association form (external link). You can change an association's financial year by special resolution. A change in financial year generally creates an extended reporting period. For example, your organisation's financial year previously ended on 30 June. The association passes a motion to change to a year ending 31 December. There is now an 18-month reporting period from July one year through to December the following year. CBOS requires details on how you intend to manage this adjusted period. Complete the Special Resolution for Change of Financial Year form (external link).